From the first track, one will notice that the latest chapter in The Roots chronology is something different. Listening the Dirty Projector-centric intro track, all I could think about was 75 Bars and how different it would be if it was produced now. It’s pretty surprising that Rising Down was released only two years ago. The Roots have shed some of the edge and blossomed low end for a late night gig AND a truly professional and smooth album. Most importantly, this album is good listening beginning to end. On top of Black Thought doing his thing (which I’ll talk about in a second) and ?uestlove killing the pocket the entire outing, The Roots have managed to enlist several under the radar guest artists that deserve some mention. In terms of rappers, Blu and Phonte fit in rather nicely with the aesthetic of the album. Blu’s verse that opens The Day is especially good. Not to be left out, The Roots have Joanna Newsome, John Legend, and the already mentioned Dirty Projector girl vocals that add a nice twist to the general Roots formula. Not to worry, this album isn’t one long extended History track though. To be honest, that wouldn’t have been too bad of a thing. As a matter of fact, I missed Mos Def on this album. I know STS is a Philly native, but on any of his verses Mos Def would have just crushed him. Black Thought is quite solid on this album as usual. He gets to breath a little on this album and has some special highlights. Doin it Again is a testament to his capacity. The versus had showed up on a BET cypher a while back, and it was unquestionable that that needed to show up on this album. For anyone that missed it, watch it here. Luckily the whole album can be streamed from The Roots myspace page, so swing over there and check it out. 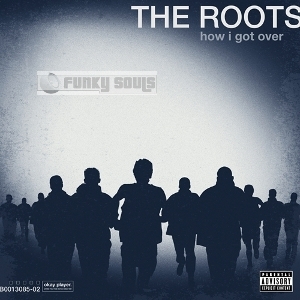 Even with a late night gig under their belt, The Roots are putting out relevant (listen to the title track), professional, and entertaining hip-hop that should be heard.